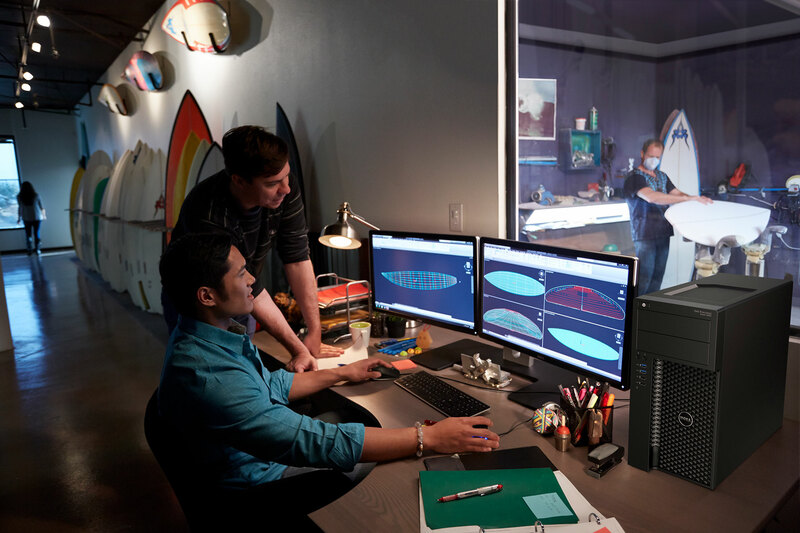 Research proves importance of displays to productivity as 4K resolution becomes standard. Complex design requires the ability to view multiple aspects simultaneously. Image courtesy of Dell. A typical engineer never has only one software program open at a time. The main view might be a CAD or simulation program, while email, a spreadsheet, and a web browser will be running in the background and used regularly. The need for multiple views increases as engineering teams upgrade to contemporary processes such as model-based design, using digital twins, or virtual prototyping. Several university studies in recent years have taken a close look at the relationship between multiple task windows and productivity. In each study, subjects were assigned a variety of text-based and graphics-based operations typical of work activities. 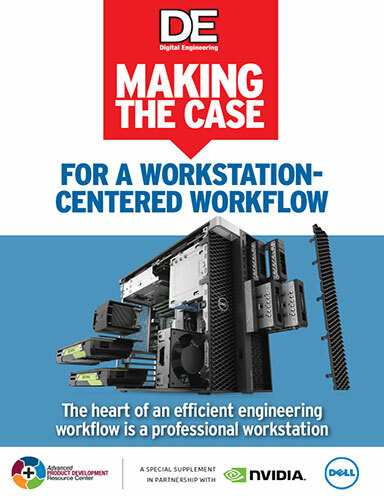 Workflows were compared on single- and dual-monitor configurations. Time and accuracy measurements, click paths, window switches, and user impressions were analyzed for each respondent on each monitor configuration. The specifics of color gamut, once an interest limited to the industrial designer, is now something the entire engineering team notices. Dell PremierColor is a app for color calibration on Dell Precision mobile workstations, designed for professional uses. PremierColor guides the user through the color tuning process with instructions for each display control and option. Display settings can be set and saved for each user or saved as multiple defined presets for the same user. Also Dell standalone monitors with Premiere Color offer higher resolution, larger color gamuts and color calibration features to offer the ideal solution for color critical workflows like industrial design and visualization. 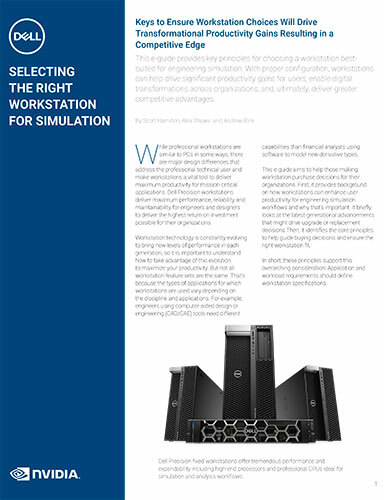 In each study, the results overwhelmingly show dual-monitor configurations save time and increase worker accuracy. A Wichita State University study used a 17-in. screen for the single monitor configuration, and by the end of the study participants “were often observed to show disappointment” when asked to use the single monitor for the study tasks. In a University of Utah study, workers showed a 44% productivity increase for text tasks and a 29% productivity increase for spreadsheet tasks, when moving from a single screen to a dual-monitor setup. At Georgia Tech, participants were able to complete tasks nearly 2.5 minutes faster using a dual monitor setup. Gaining only 5 minutes per hour in such tasks leads to almost an hour a day per employee. Higher resolution monitors allow engineers to see the big picture and the details at the same time, which improves productivity. Click here to see the full-size image. Image courtesy of Dell. A study at Pepperdine University sought to compare various computer hardware upgrades to quantify their productivity benefits. The research team concluded that higher screen resolution was a more reliable predictor of user satisfaction and productivity increase than a faster CPU. Specifically, researchers noted increased insight into data, more time spent on primary tasks and decreased stress levels. The new generation of 4K monitors provide greater detail, requiring professional-grade graphics processing technology delivering the image. NVIDIA’s Rink says the minimum refresh rate for productive interactivity is 15 frames per second (fps). 4K makes substantially higher demands on the hardware. Most benchmarks show a difference between discrete graphics (dedicated GPU) and integrated graphics (as part of the CPU). “We haven’t seen integrated graphics reaching 10 fps,” Rink says. A comparative benchmark published by Dassault Systèmes using SOLIDWORKS shows CPU-only (with integrated graphics) results as a performance baseline of 1x; the GPU-enabled results vary from 5x to 18x performance gains, depending on the GPU in use and if more than one GPU was in the workstation. The increased clarity in 4K is also driving new use cases. Rink notes that power walls — a set of screens that fill a wall and display one image spread across all monitors — are moving beyond the largest automotive and aeronautics companies. “Architecture firms are using power walls for design review, and we see examples in consumer product goods and other industries,” he says. Hamilton also sees new use cases arising from standardizing on higher resolution. “Photorealistic rendering is becoming more approachable, and VR/AR [virtual reality and augmented reality] are becoming more important in the engineering workflow,” he notes. These photo-realistic activities require higher resolution and better color quality.